In most cases, landlords do not set out to deliberately discriminate against a particular group when placing an ad for an apartment or property in the paper or on the Internet. Because certain phrases can convey indirect or subtle discrimination, however, even unintentional discriminatory language can cause a landlord to run afoul of federal and state fair housing laws. Additionally, California prohibits landlords, property owners, and mangers from discriminating against potential renters based on sexual orientation, which includes lesbian, gay, bisexual, and transgender individuals. Discriminatory language does not have to be blatantly offensive to violate fair housing laws. For example, an advertisement claiming that an apartment building is “family friendly” or a great “bachelor pad” could be construed as trying to direct a certain type of tenant toward it (or away from it) – a prohibited technique known as “steering” a prospective renter or buyer of real estate. Similarly, describing a property as “low crime” or “in the heart of a wealthy area” is exclusionary and could be perceived as targeting certain groups. Although drafting a rental advertisement might seem like a relatively straightforward task, landlords must take care to comply with both state and federal law. This is where a knowledgeable real estate attorney can help. Kirkman J. Hoffman has more than 20 years’ experience representing commercial and residential landlords, owners, and property managers in Silicon Valley and the surrounding regions. 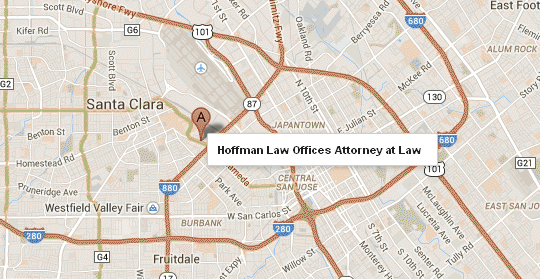 Contact the team at Hoffman Law Group today at (408) 241-9620 to discuss your case. This website has been prepared by Hoffman Law Group, APC for informational purposes only and does not, and is not intended to, constitute legal advice. The information is not provided in the course of an attorney-client relationship and is not intended to substitute for legal advice from an attorney licensed in your jurisdiction.